Due to a misattributed song on my iPod, I have been under the impression that I disliked Ben Rector’s voice. That is, until recently, when I downloaded a Tour De Compadres sample album. His song “When I’m with You” had such a unique sound that I had to listen to more. That’s when I gave the Tulsa native’s latest album, “Brand New” a shot. I’ve been listening to it for about a week now and am already planning which album to buy next. Rector is a talented lyricist but even more clever when it comes to song topics. My favorite on the album is definitely “Crazy,” which seems to be my life anthem. It’s for all the listeners whose night life is anything but crazy and typically includes cooking at home and renting movies on the weekends. In “My Favorite Song,” Rector compares his girl to a song, referencing various other musicians, such as Johnny Cash and John Bon Jovi. Though a fun addition, I found this track far too cliché. “The Men That Drive Me Places” is a humble, piano-based tune that compares hard-working men to Rector himself. He ponders how many blue-collar citizens deserve recognition, yet he is the person crowds pay money to see. The melodies are catchy (some much more than others), but the lyrical perspectives are consistently unique. “Note to Self” is another clever song where he makes a mental checklist of things to do and things to be, reminding himself to think of others more. The album has that hometown pop-rock sound and leans slightly toward folk. The best part? Every song is written from Rector’s experiences, not his label’s checklist. As you listen to the album, you feel like you are living Rector’s life in the passenger seat. He catches this perfectly in one of the tracks, when a stranger on an airplane concludes that life looks pretty good from 30,000 feet. 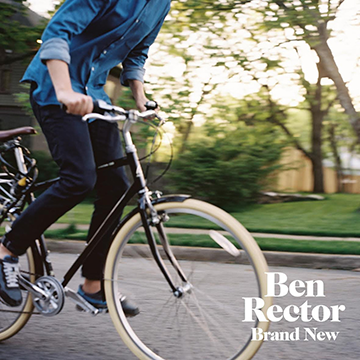 Comparable to NeedtoBreathe, Dave Barnes and even Jon Foreman, Ben Rector has created a well-written album that I enjoy listening to at any time.